Recently, on one of my adventures, I discovered a new bird I had not seen before. The Cattle Egret. 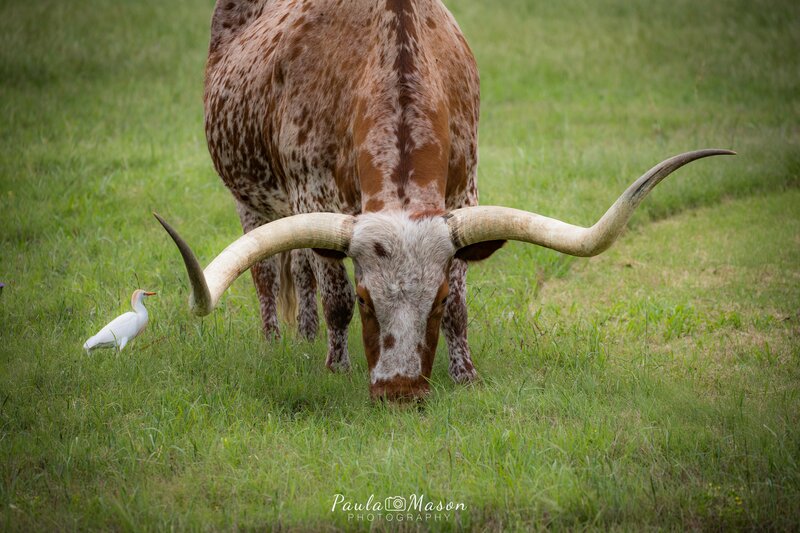 I was taking some pictures of a baby calf and his momma, when I noticed some funny birds hanging around. 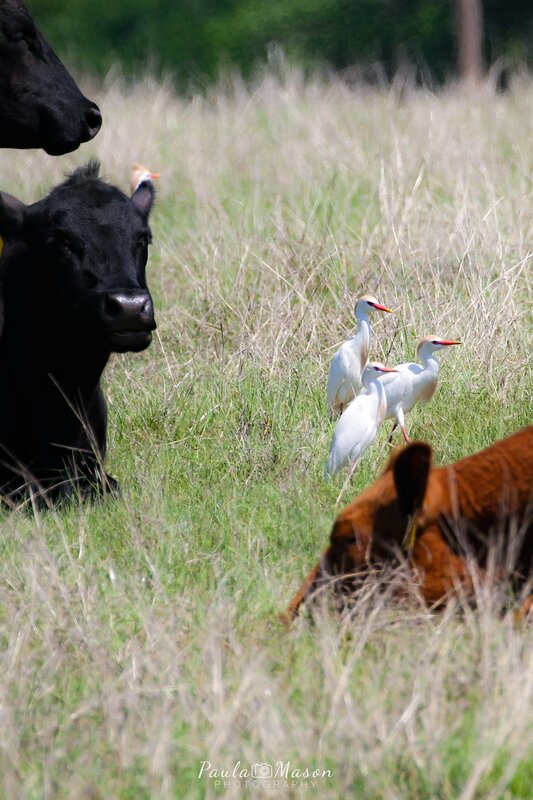 They were Cattle Egrets. What an interesting bird. Ever since I discovered them, I now know to look for them whenever I see a herd of cattle. They are nearby almost 99% of the time. Usually, right under the feet of the cattle, or sometimes even on top of them! He's so brave! I wouldn't get that close! Just hanging out with a herd of cattle! They are so funny! 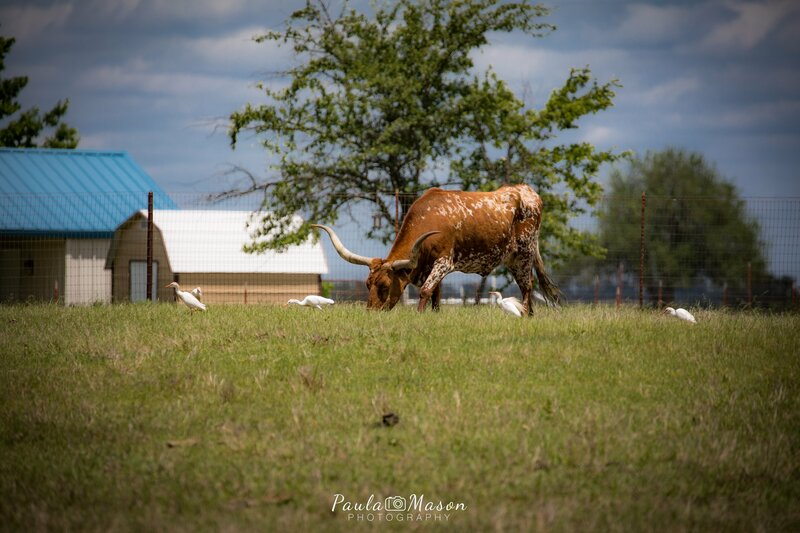 They follow the cattle everywhere! Very interesting birds, and lots of fun to photograph! I’m always amazed at how close they stay to the cows. I’m also amazed that they show no fear, and seems like they don’t get stepped on either. Amazing! And Like I said…very fun to watch!